Rahul Gandhi has shown little inclination to take political tips from the party’s former troubleshooter and ideologue. Former hockey star and two-time Lok Sabha MP Aslam Sher Khan invariably uses sports as a metaphor to interpret political developments. And he did precisely that when senior Congress leader Kamal Nath was received by enthusiastic slogan-shouting, drum-beating supporters when he arrived in Bhopal last week to take formal charge as president of the party’s Madhya Pradesh unit. Describing the show as a warm-up exercise before the Congress and the ruling BJP face off in the final match in the year-end Assembly polls, Mr Khan said the new appointments made by Congress president Rahul Gandhi in the state unit were akin to setting the field. Mr Nath, according to him, is the team’s centre-half, who is required to keep an eye on all the team members and direct them as the situation demands. Former Madhya Pradesh chief minister Digvijay Singh, who was pushing for Mr Nath’s appointment as Pradesh Congress Committee president, is the team’s goalkeeper as he is said to have taken it upon himself to fend off political opponents and ensure the party’s victory in the coming election. Mr Khan said Lok Sabha MP Jyotiraditya Scindia as the chairman of the campaign committee is the team’s centre-forward whose job as a member of the team’s first line of defence is to score and create opportunities for other players to do the same. However, Mr Khan failed to mention the name of the team’s coach. There is all-round agreement that Deepak Babaria, Congress general-secretary in charge of Madhya Pradesh, is too junior for this crucial job. 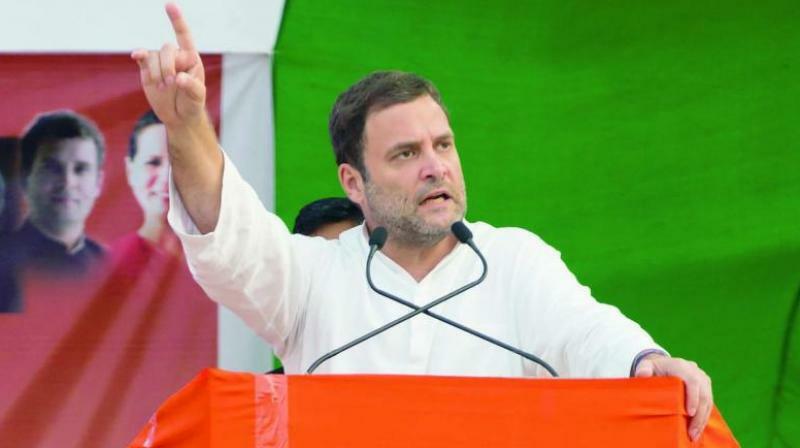 When Pranab Mukherjee completed his term as the country’s President last July, it was widely expected that Congress leaders, especially party chief Rahul Gandhi, would seek his advice on political matters. Though former Presidents do not return to active politics after demitting office, the overwhelming view was that the Congress leadership would consult him informally. After all, Mr Mukherjee is a store-house of information and as a senior Congress leader his inputs at the party’s strategy sessions were highly valued. However, Mr Gandhi has shown little inclination to take political tips from the party’s former troubleshooter and ideologue. The Nehru-Gandhi scion did seek Mr Mukherjee’s blessings before filing his nomination papers for the Congress president’s post last December, but has not been a regular visitor since then. On the other hand, Mr Gandhi has called on Nationalist Congress Party chief Sharad Pawar several times. Though his meetings with the Maratha leader were essentially aimed at reviving the Congress-NCP alliance and building a broad anti-BJP front in the run-up to the 2019 Lok Sabha elections, it is being whispered that Mr Gandhi has perhaps found a new political mentor in Mr Pawar. Work in the human resources development ministry has come to a virtual standstill as its minister Prakash Javadekar has been camping in poll-bound Karnataka for nearly three months after BJP president Amit Shah asked him to take charge of party affairs in the run-up to the election in the southern state. The Opposition got an opportunity to launch an offensive against him as he was missing from the capital when the CBSE exam papers were leaked. Unable to travel to Delhi for all programmes in the midst of a hectic poll campaign, Mr Javadekar has taken to sending video messages to mark his presence in Delhi. For instance, he recently sent a video message when the HRD ministry launched the Unnat Bharat Abhiyan 2.0 in which college and university teachers travel to nearby villages to acquaint themselves with the problems faced by people living in rural areas. Mr Javadekar did the same at the recent launch of the portal of ministry’s “Study in India” initiative, which is aimed at attracting foreign students to pursue higher studies in India. Clearly, the HRD minister has been inspired by Prime Minister Narendra Modi who leads in using technology for official work and in communicating with the electorate, party workers and officials. Known as a firebrand speaker and the face of Hindutva, Union minister Uma Bharti was once in great demand by the BJP for its poll campaigns. But the sanyasin has now made way for UP chief minister Adityanath Yogi who is the party’s latest Hindutva icon. Deployed extensively by the BJP for electioneering in the Northeast and Gujarat, Yogi is a major campaigner in Karnataka, as the saffron party believes UP chief minister’s polarising speeches will lead to Hindu consolidation in its favour. On the other hand, Ms Bharti has been virtually marginalised by the party in its poll campaigns. This is despite the fact that Ms Bharti has an old connection with Karnataka. Way back in 1994, she had defied curfew orders and attempted to hoist the national flag at the disputed Idgah Maidan in Hubli, Karnataka. Ms Bharti subsequently led a tiranga yatra there after she stepped down as Madhya Pradesh chief minister in 2004 when an arrest warrant was issued against her.